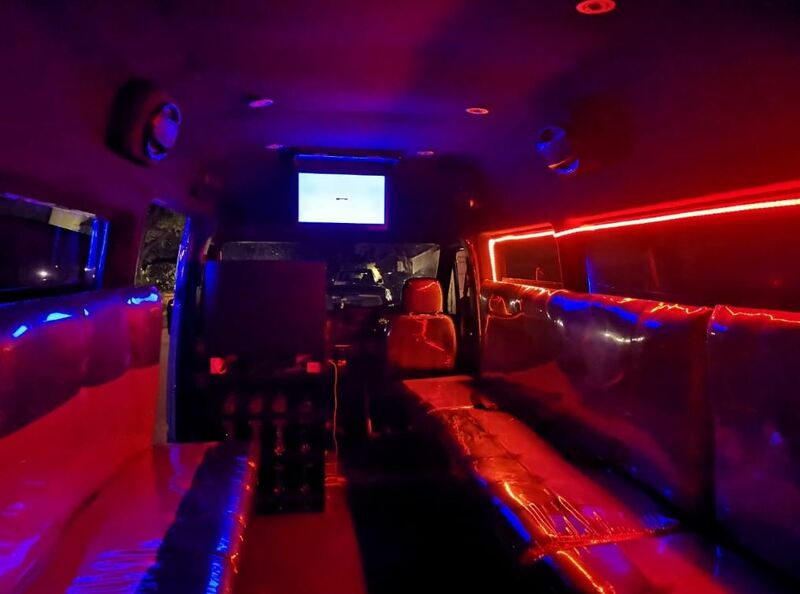 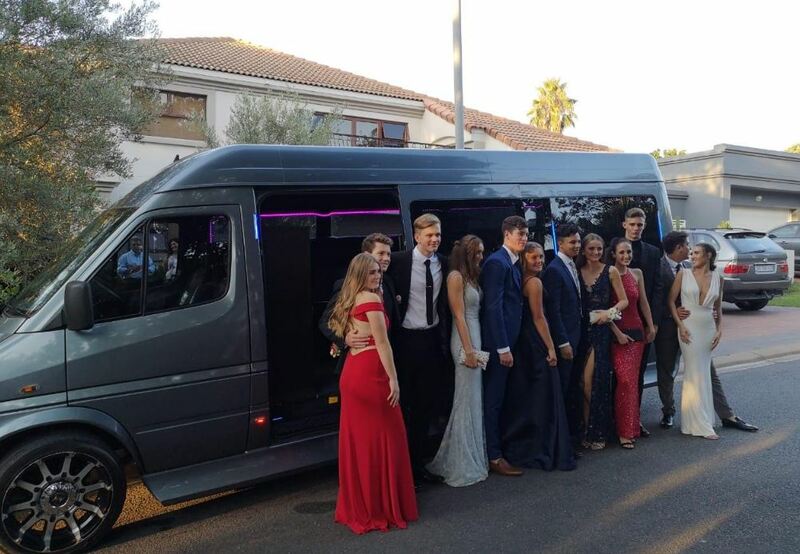 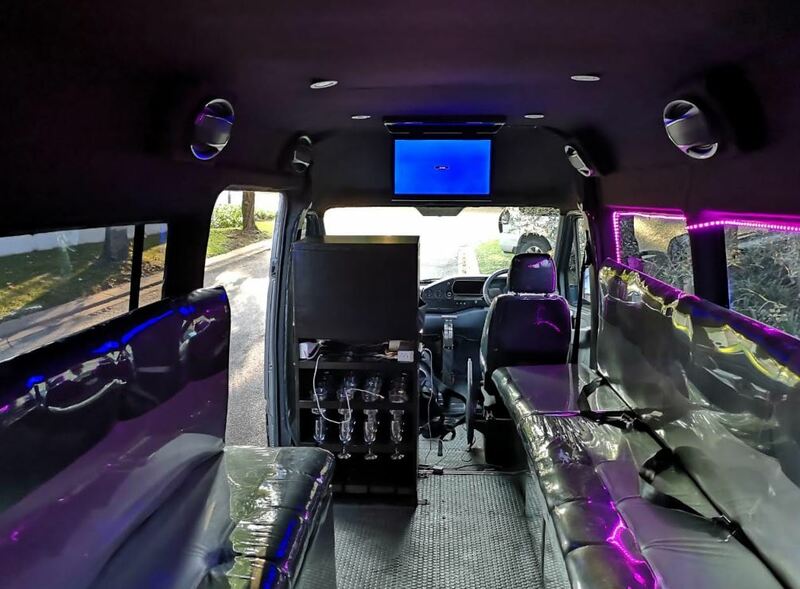 Below are images of our 14 to 16 Seater Party Bus's for your information. 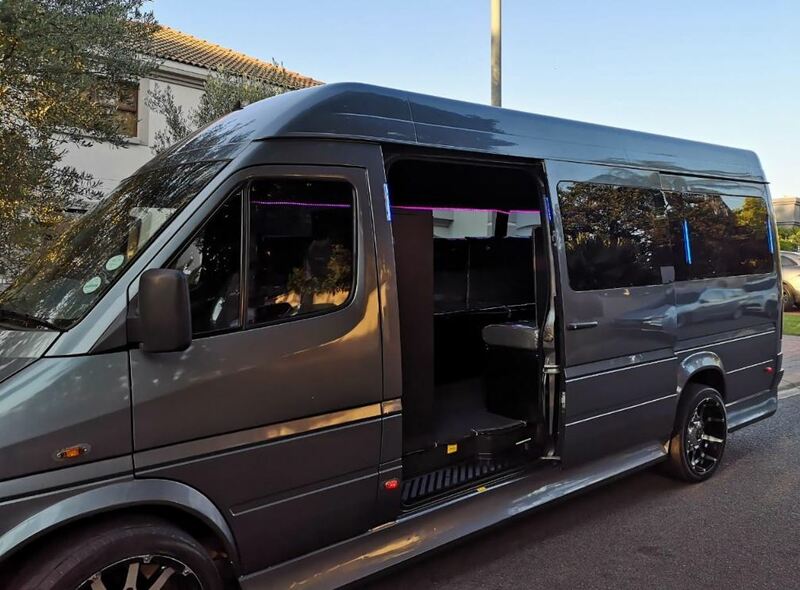 Carries 14 to 16 passengers, chauffeur driven, rate within 100km round trip of either Johannesburg or Pretoria. 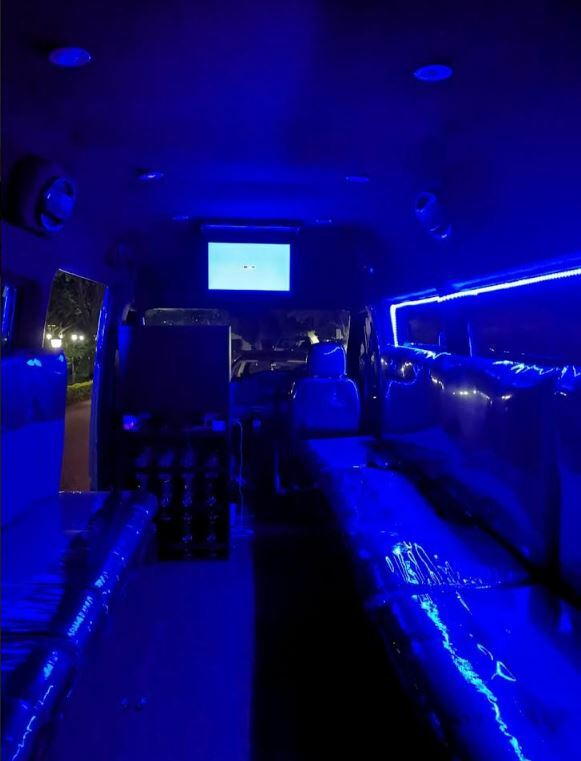 Excellent sound system, bar and led party lighting. 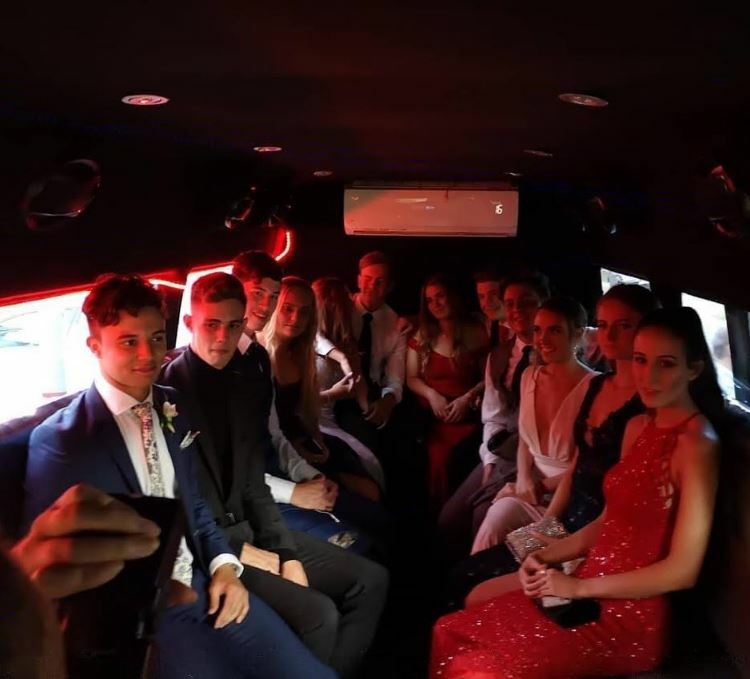 Glasses(plastic), Ice and Music excluded. 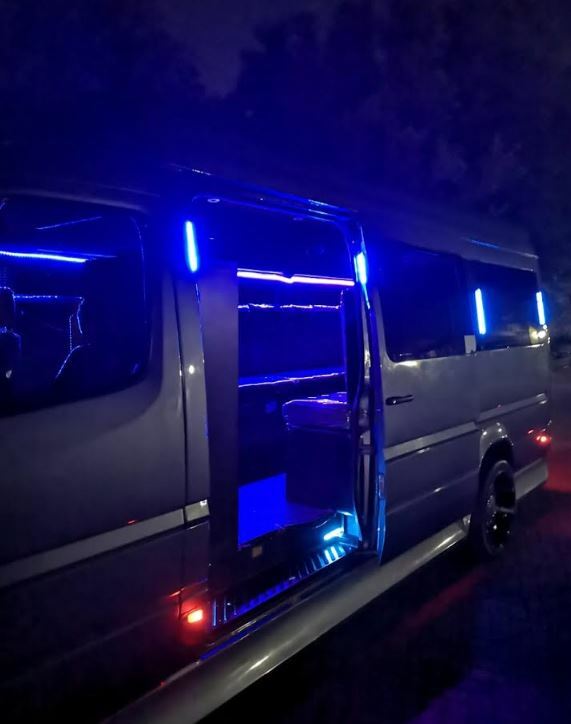 Please bring CD's or USB stick to connect to sound system.